NorthShore’s MedClue program provides patients with a variety of genetic tests that help clinicians learn more about an individual’s DNA and the impact their genes can potentially have on their health. These tests serve to identify indicators of an increased risk for developing conditions including hereditary cancers, cardiovascular conditions, neurological conditions such as Alzheimer’s disease and certain forms of diabetes. Results from these genetic tests may have an impact on screening, medication and treatment recommendations. This information also plays a significant role in establishing personalized, long-term health plans, and provides insights to both patients and their biological relatives in regards to medical decisions now and in the future. To learn more, contact 847.570.GENE. 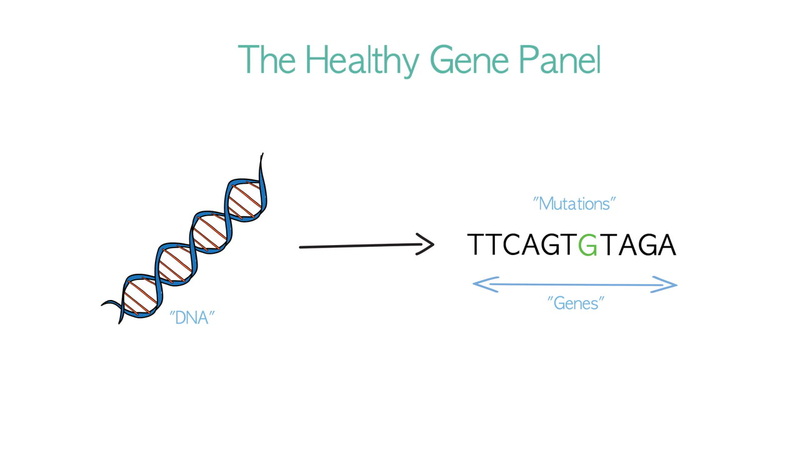 The Healthy Gene Panel allows you to learn more about your DNA and how your genes could potentially affect your health in the future. The test analyzes a large number of genes that are well-established indicators of a significantly increased risk of developing certain conditions, including hereditary cancers, cardiovascular conditions and other disorders. The genes tested are all related to inherited conditions that, if detected early, have effective medical interventions and preventive measures. This information could help you and your doctor with your long-term health plans, as well as help inform medical decisions for your close biological relatives. Why Is This Test Being Considered? Genetic testing is being considered based on the interest you and your NorthShore physician have in making genetic insights a part of your personalized health plan. Your physician has placed an order for your genetic test to be performed. Within one week of the order, you will receive a saliva sample collection kit delivered to your home address. Please follow all instructions included in the kit, and return the kit using the postage-paid return label. You will be contacted regarding billing. The Healthy Gene Panel is not billed through insurance, and is instead available for the patient pay price of $475. Your physician will contact you to share your test results. Results are typically available 10 to 21 calendar days (14 days on average) after your saliva sample is received by the lab. Your test report will state whether your tested genes contain changes associated with an increased risk of developing the condition being assessed. Your physician may recommend changes in your care treatment plan based on the results. Federal laws protect your medical privacy, and also currently protect people from discrimination by health insurers and employers on the basis of DNA information. For more information, call 847.570.GENE.